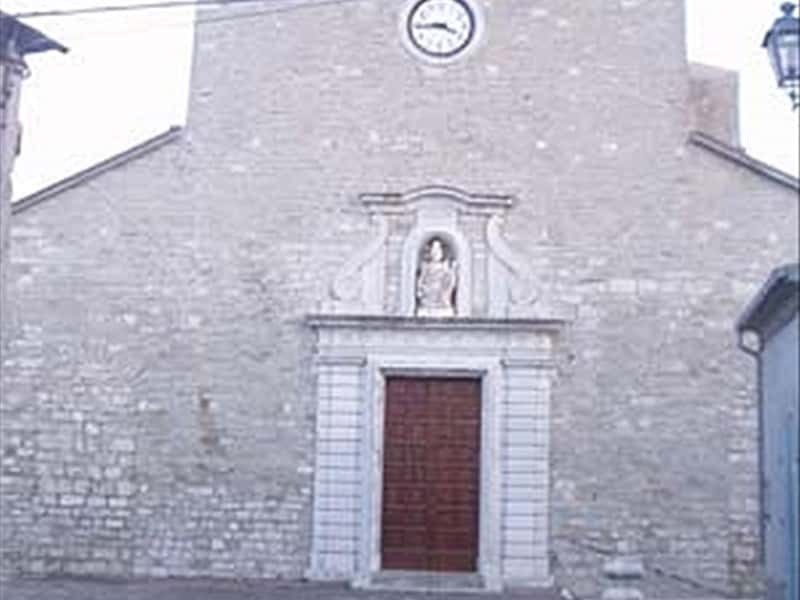 Schiavi d'Abruzzo is a small town in the province of Chieti, set on the border with Molise; its territory was inhabited by the Samnites since the ancient times, as the discovery of the so-called Italic Temples in the village of tavern reveals. The place name derives from the circumstance that the village was founded by a colony of Slavs; in Norman times it became a fief of Roberto da Sclavo. It was mentioned for the first time in a bull of Pope Nicholas II in 1059; from 1285 to 1816 it was part of the Kingdom of the Two Sicilies, feud of the Caracciolo di Santo Bono for almost two centuries. Schiavi d'Abruzzo well preserves its Medieval and Renaissance style urban layout. - the so called Italic Temples or Samnite Sanctuary, discovered in the mid-XIX century and brought to light a century later. 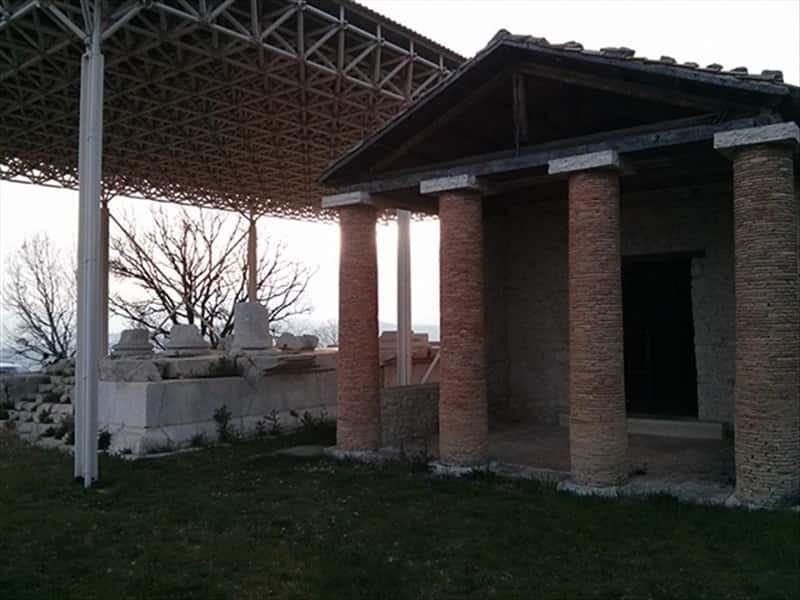 It was built in two phases: the first one, corresponding to the main temple, is dating back to III-II century BC; the second one, corresponding to the building of the smaller temple, is dating back to the beginning of the I century BC. Both the temples are located on a plateau: the main temple has the entrance staircase that leads to the portico flanked by 4 columns with Ionic style capitals. The second temple is smaller than the first one, has no podium, but is equipped with a portico with four columns that precedes the cell. Inside it is still possible to admire a well-preserved floor with an Oscan inscription. 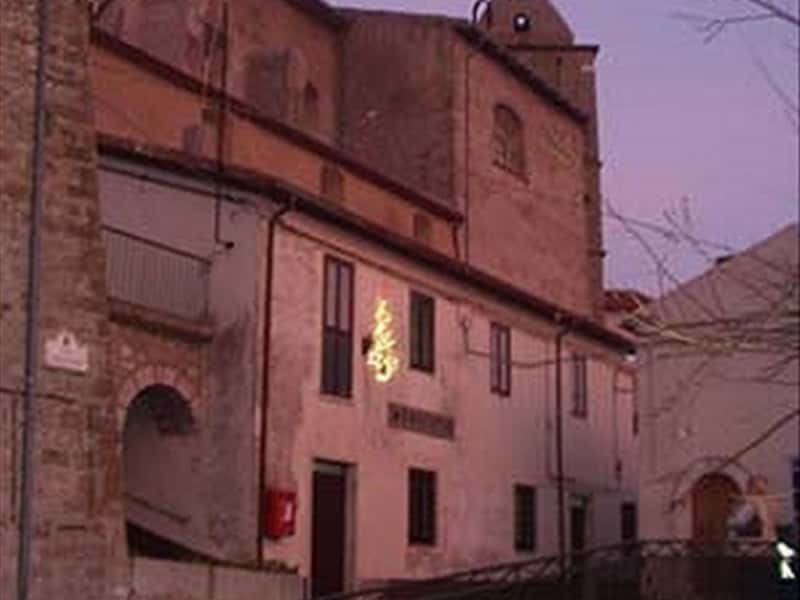 - the panoramic walk of Monte Pizzuto. Recent excavation on the slopes of Monte Pizzuto brought to light many artefacts dating back to the Late Bronze Age. This town web page has been visited 11,855 times.